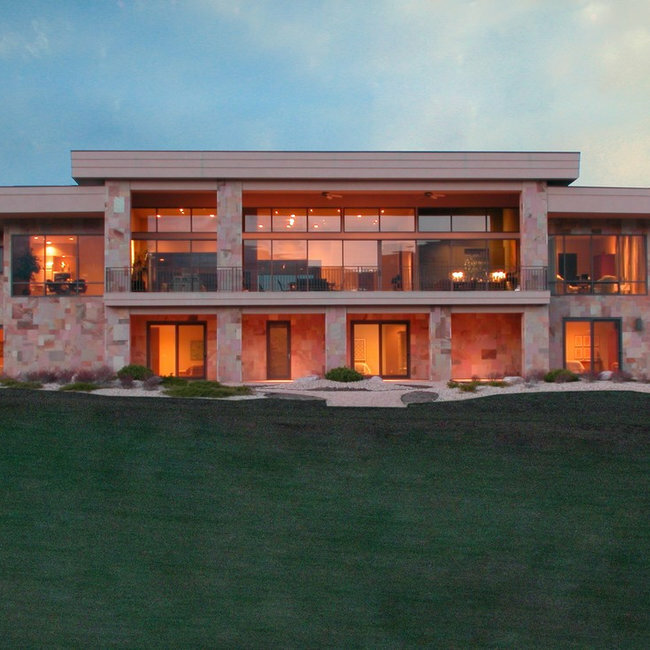 5 PHOTOS This is a contemporary home built in Kissing Camels Estates in Colorado Springs, Colorado. The exterior of the home is done in Indian flagstone. The interior of the home is finished in simple luxury. 23 PHOTOS This beautiful home is a one-level with a walk-out basement situated in Kissing Camels Estates. 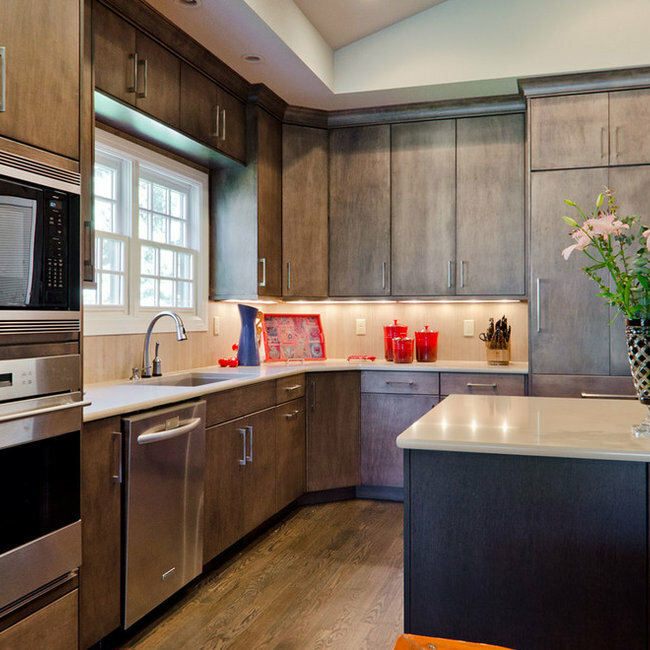 It is done in a transitional style with gorgeous details throughout. The painting in the entryway niche was done by Nancy Stage Robinson of Colorado Springs. It is of the Garden of the Gods rock formations which can be seen from the owners expansive back windows. 4 PHOTOS Updated photos of a townhome built in the Broadmoor Resort Community in Colorado Springs. The fireplace surround was redone with new tile and a Napoleon Fireplace. 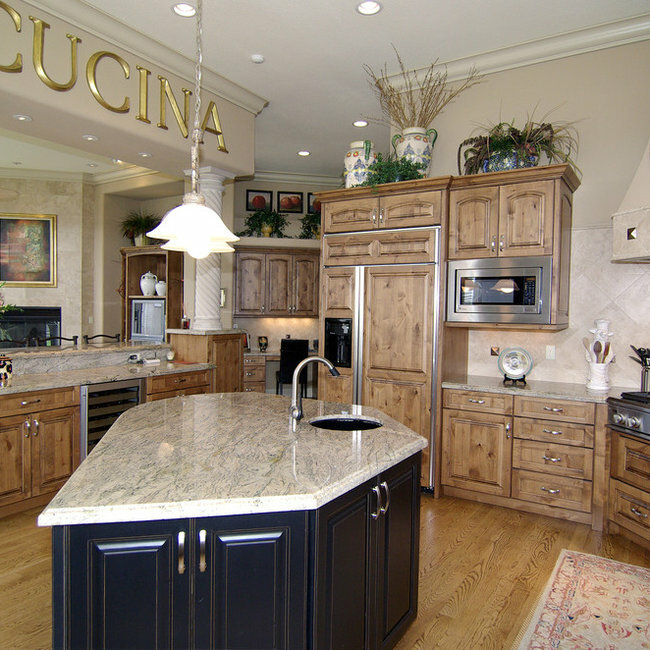 The kitchen was completely redone with new cabinets and a new island. The hardwood flooring had an ebony glaze applied. Outstanding! 34 PHOTOS This remodel is a wonderful example of taking a "ho-hum" master bath and turning it into a luxurious, spa-like retreat. 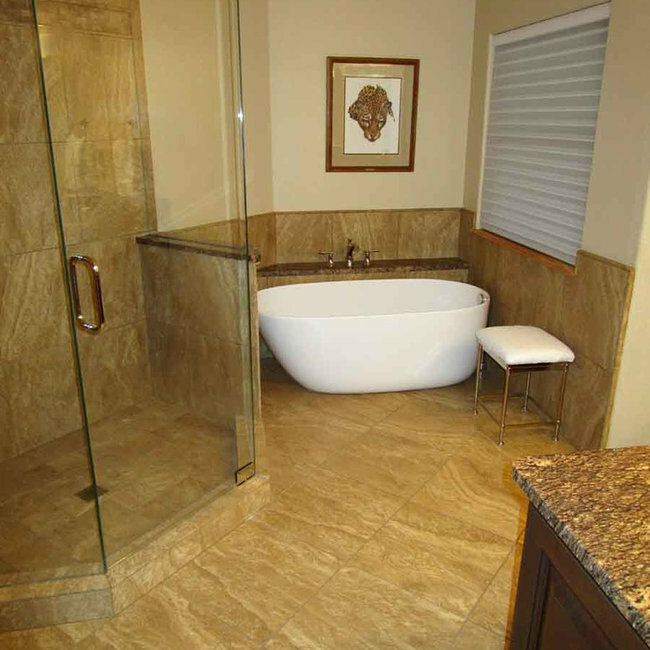 The shower walls and floor are travertine marble with new alder cabinetry and a great stand-alone tub. 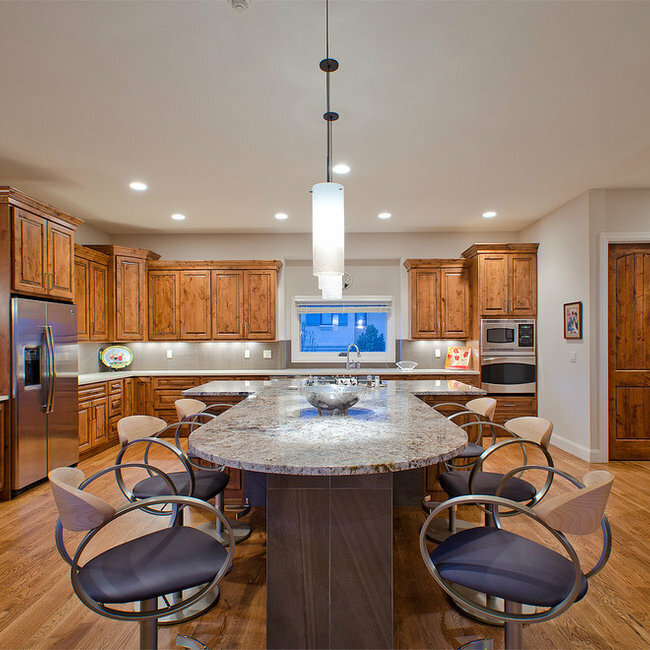 4 PHOTOS A town home in the Kissing Camels Estates in Colorado Springs, Colorado. This home exemplifies the elements that make up the Colorado style from the stone fireplace surround to the knotty alder cabinetry to the dining room setting. 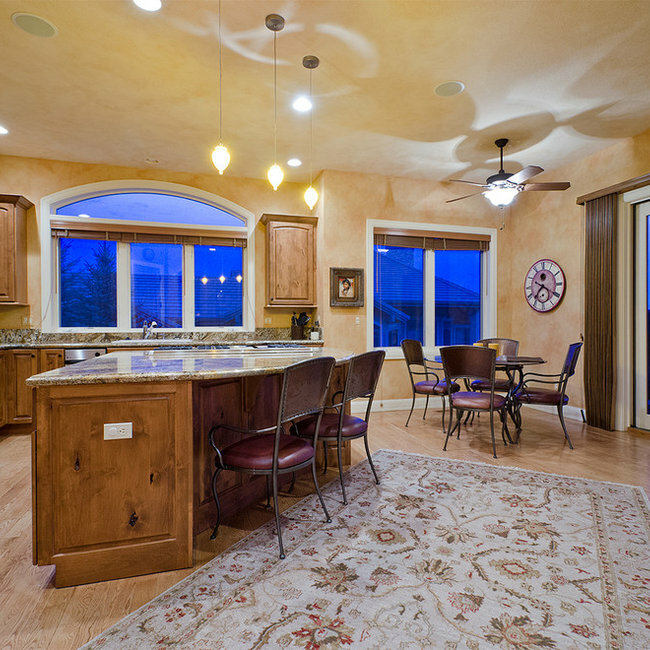 4 PHOTOS This is a 7,600 square foot home built in Kissing Camels Estates in Colorado Springs, Colorado. The home showcases sandstone columns both inside and out, dramatic architectural details like the curved wall in the great room, and a gourmet kitchen featuring knotty alder cabinets of two different colors and granite countertops. The kitchen backsplash is travertine marble with metallic accents.